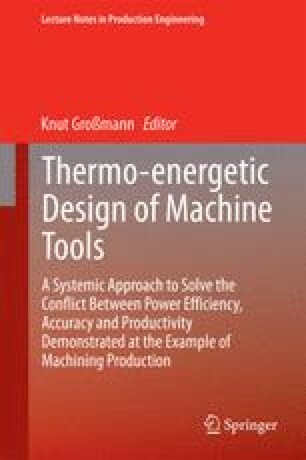 The work described here explores the suitability of metrological applications for direct measurement of thermo-elastic deformations in a machine tool’s basic structure with the goal of correcting positioning errors by means of control engineering. This paper first introduces the measurement principle of the sensors applied. It then presents the outcomes of investigations aimed at the system approach’s validation, demonstrating the concept’s suitability to measure structural deformations. It was also possible to show that the deformation of simple structural elements can be represented with sufficient accuracy by the linear functions of the signals obtained using structurally integrated sensors.